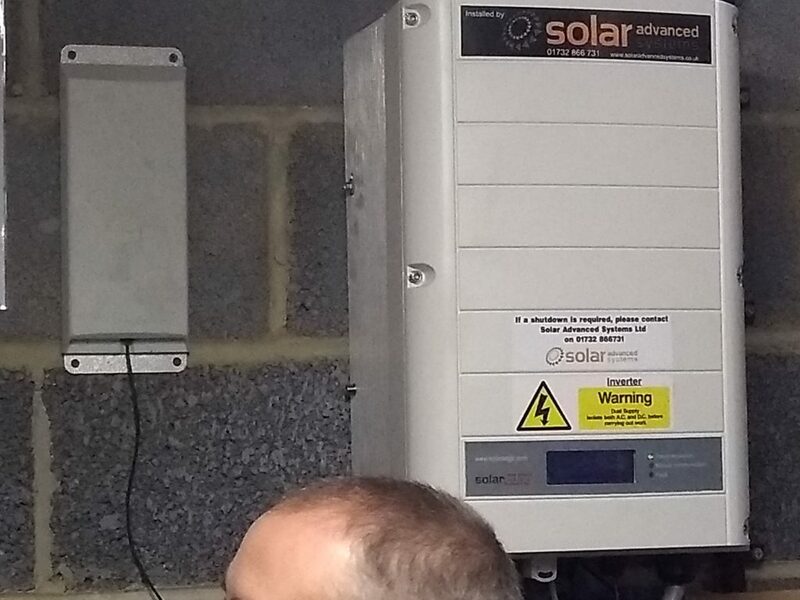 Local stakeholders in the Solarise project from Brighton & Hove City Council and also neighbouring Local Authority , Lewes & Eastbourne, had the chance to learn more about the combined water source heat pump/solar PV install at Schaffer House, Maidenbower in Crawley. This is a sheltered housing scheme operated by Crawley Homes, which consists of 45 tenanted flats, and was built in the early 1990’s . 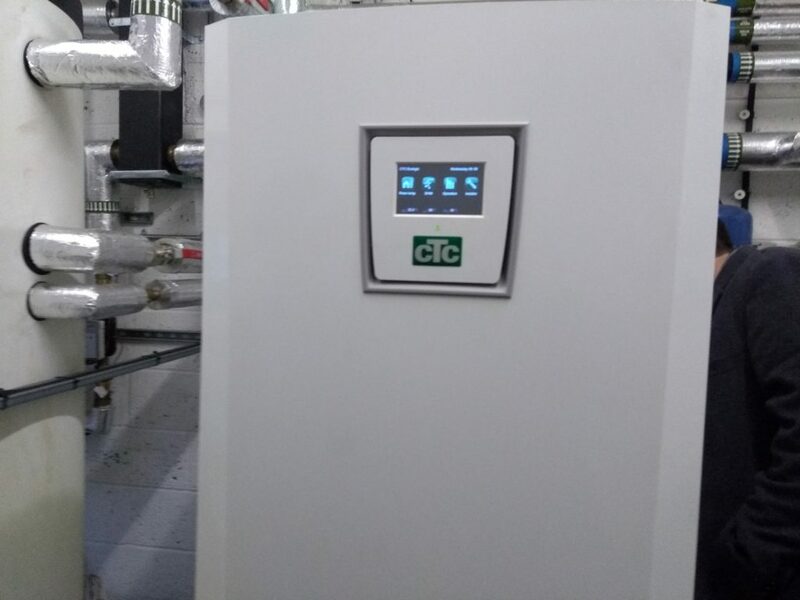 In 2016 the original (1990s) gas-fired boiler system for heating communal areas was replaced with a water source heat pump from the adjacent small stream. 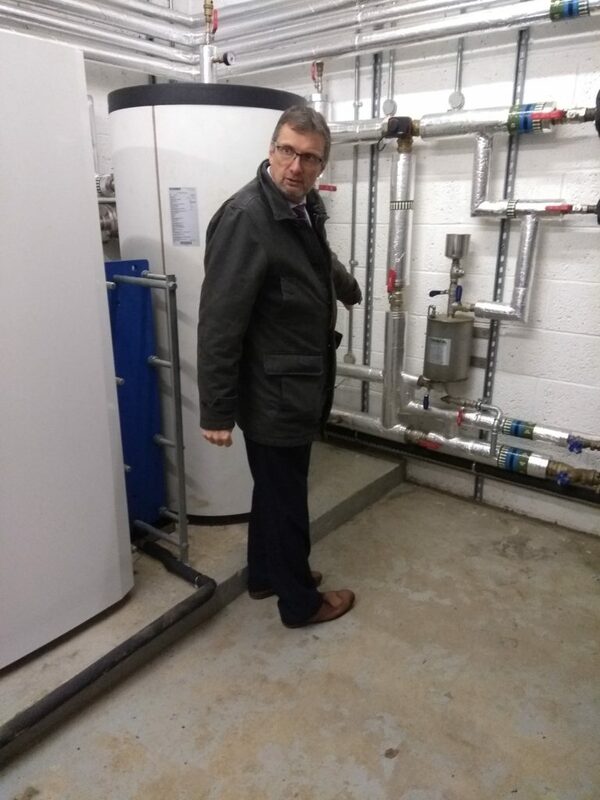 The scheme’s emitters were also replaced to account for lower flow/return temperatures and a new gas-fired backup boiler was installed ‘just in case’. 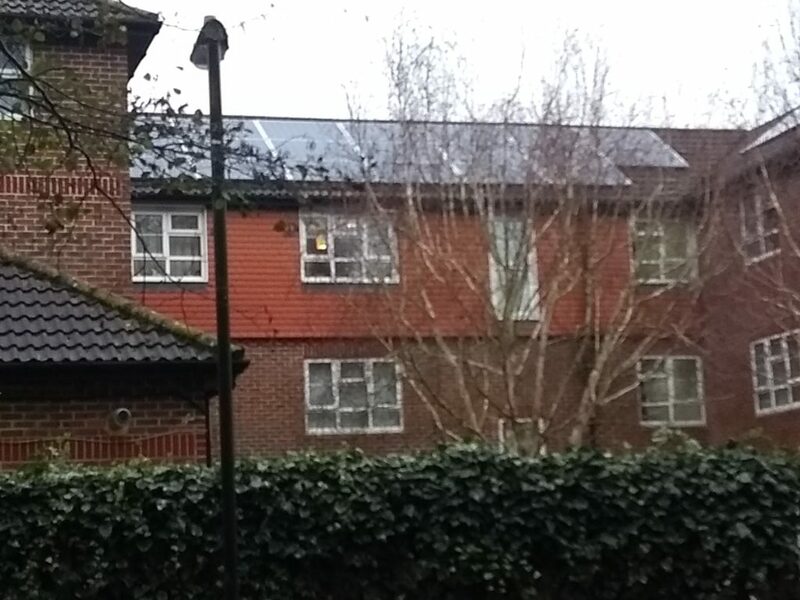 30kWp of solar PV panels were installed shortly beforehand, providing a free source of electricity to run the heat pump. 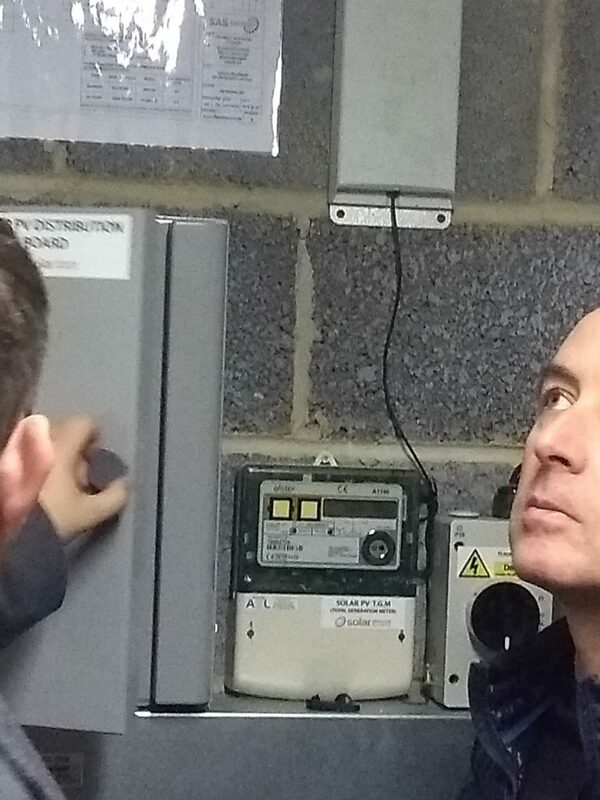 The scheme benefits from both the Feed in Tariff and Renewable Heat Incentive (RHI). It was completed with just internal funding as it could be economically justified as the alternative was to replace the boiler anyway and should pay for itself in eight years or less. The total cost was around £160,000 being approximately £80,000 on equipment and £80,000 on construction, there being about three weeks construction work to connect the pipes to the small stream. If any SOLARISE partner would be interested in further details, please get in touch with Dan Goodchild – Solarise Contact Officer.